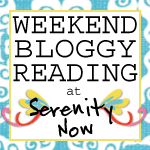 Welcome to Weekend Bloggy Reading. I hope you'll link up your best post of the week today! ~The Nester put things in perspective with Keeping House. ~Cassie worked on a Kids' Art Center. ~Kate blogged about learning Balance as her blog turned two this Tuesday. ~Melissa created a Bathroom Gallery Wall and included a beautiful quote from one of my favorite childhood book series. ~Julia asked her readers, "How Happy is Your House?" 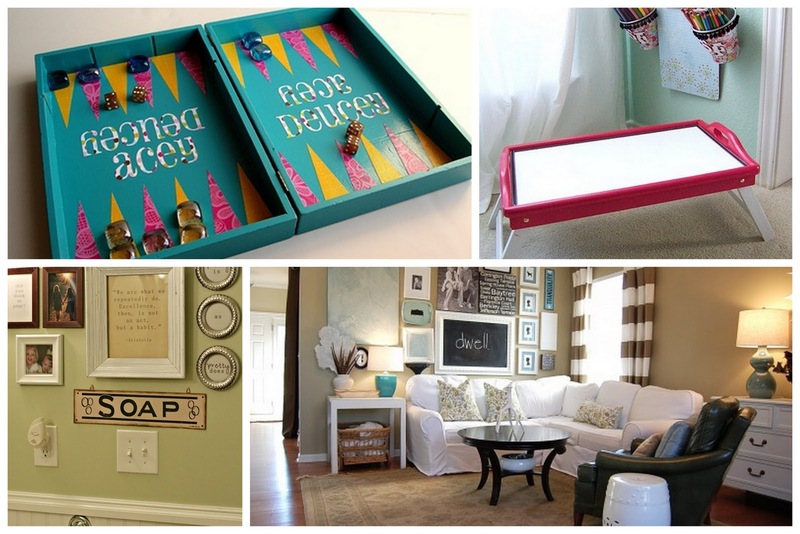 ~Beckie created a beautiful, custom Backgammon Game using leftover Melissa and Doug boxes! My blog Celebrated a birthday and I offered some encouragement to new bloggers. I had a crafty feature over at The CSI Project on Monday, which I was really excited about. 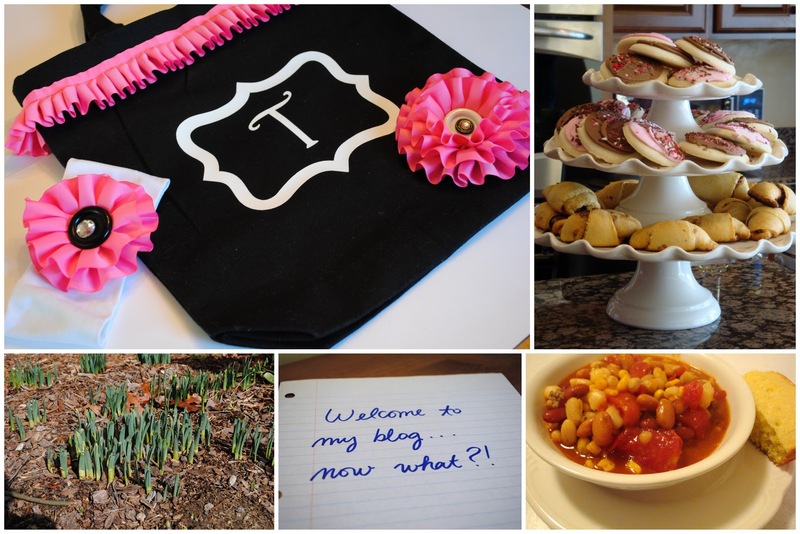 On Monday, I shared about a beautiful Valentine's Brunch that a friend hosted last weekend. I gave you guys a recipe for Cowboy Soup on Tuesday, and on Wednesday I Yelled at My Daffodils. Good week! I am pleased to report that we have no plans for the weekend. I need to catch up on laundry, and I really want to read a book. Like, a real book...the kind with long paragraphs and no pictures! I SO wish Daffodils grew here! I'm sure they are popping up all over the place at my aunts house in Martinsville. I wish we could make it there for vacation again this year. I love it up there! I can't wait for the craft cutter party!!! I hope you don't mind that I linked up my linky party. I'm trying to give it one last push. Thank you for hosting! Have a great weekend, I'll be back on Monday for the Linky Party! That bag is so cute! And your Vday brunch looked like so much fun! I hope you have a great weekend Amanda! Good Luck getting in some reading time-enjoy!! Love that series too and thinking that quote would be great in my girls' bathroom. 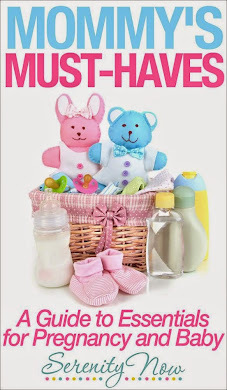 I gave you a blog award -- check out my newest post! Thanks for hosting! I am your newest follower. I hope you have a blessed weekend! Thanks for hosting such an inspirational party Amanda! Have a great weekend and happy reading! thank you for your sweet comment about the pillows i made. i'm so happy with them! I hope your book reading plan worked out. I'm about to do the exact same thing.